The Zimbabwe Republic Police (ZRP) is failing to locate former police commissioner-general Augustine Chihuri, who has twice failed to appear before Parliament, the Daily News can report. This was revealed by his successor, Godwin Matanga, when he appeared before the on-fire parliamentary portfolio committee on Mines and Energy yesterday. Parliament is eager to inquire from Chihuri how law enforcement agents were deployed in the controversial Marange diamond fields two years ago and their alleged despicable conduct that was recently brought to the committee’s attention. Chihuri did not turn up for first hearing on March 16 when he was supposed to appear before the committee, along with his successor, Matanga, and former Home Affairs minister Ignatius Chombo. The hearing had to be postponed to March 23, as a result. He was in no-show again yesterday, resulting in committee chair Temba Mliswa ordering Matanga to leave no stone unturned in his search for Chihuri — the longest-serving police chief. The hearing will now take place on April 9. When he noticed that Chihuri was not present yesterday, Mliswa inquired from Matanga of his whereabouts, to which the ZRP commissioner-general said he had unsuccessfully tried to locate him. Matanga revealed to the committee that he escalated his efforts to the permanent secretary in the ministry of Home Affairs Melusi Machiya but their joint efforts could not yield any positive result. “I communicated with the permanent secretary about that and as of now, I have not been able to locate him,” he said. Machiya weighed in saying upon receipt of the minute of Parliament, he asked the police to contact the individuals cited therein, including Chihuri. “I could not locate some of the individuals at their known home addresses and the same was the case with the former commissioner-general of police. Nobody could tell us where he is,” said Machiya. But an unimpressed Mliswa probed further, saying there was no way in which Chihuri could not be accounted for. “So do you want to tell me that this country must believe that the former commissioner-general cannot be located? 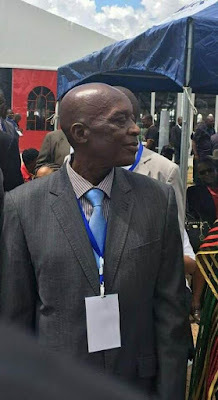 We need him here to bring this issue to closure. . . . Matanga, as the commissioner-general of police, you must know where every citizen of this country is in terms of the Constitution so you can certainly assist us in that regard,” he said. Matanga accepted the responsibility to hunt for Chihuri once more and requested for more time to locate his former boss. “Honourable chair, it is my responsibility to advise you of the whereabouts of former commissioner-general Chihuri. I am in the process of locating all the individuals concerned. We need them to prepare themselves for this meeting. With your indulgence, I was going to say if we could be given another date for them to come,” said Matanga. “I would be very unfair on my part to say the commissioner-general does not know who lives where . . . It is really my responsibility. Given enough time, I will come to this House and say . . . Chihuri is at house number so and so or he is not at his house. So I will do that,” he added. After briefly caucusing on the matter, the committee agreed to postpone the hearing to April 9. Apart from inquiring about the deployment of police in Chiadzwa, the committee also wants Chihuri to clarify the status of a diamond mining concession given to the ZRP, where it is believed that the police were shareholders in Gye Nyame — one of the nine companies that operated in Chiadzwa. Chihuri came to the helm of the police force in 1993 and was forced to retire last year following the ouster of former president Robert Mugabe through a soft military coup. Seen as part of a component of security forces that wanted Mugabe to stay on despite his advanced age and ruinous economic policies, Chihuri’s sunset years in the police were tainted by widespread allegations of corruption and human rights violations. Chihuri was humiliated during President Emmerson Mnangagwa’s inauguration at the National Sports Stadium on November 24, days before he was forced into retirement under intense pressure from the new administration which came to power after the Zimbabwe Defence Forces carried out an operation code-named Operation Restore Legacy. The operation ended with the resignation of Mugabe and the installation of Mnangagwa as his successor. Chihuri was firstly booed as he arrived at the packed 60 000-capacity stadium and when he stood up to pledge loyalty to the new Head of State. His humiliation reached the peak when he read his loyalty pledge as people vented their anger and chanted “He should go, he should go, he should go”, while others rolled hands to signal a substitution, a sign that is normally used in football. He had a torrid time maintaining composure as he struggled to read through his loyalty pledge. Chihuri was mainly unpopular for the numerous roadblocks which were being used by the police to extort motorists. He is also infamous within the police force for allegedly milking them of their meagre salaries through forced donations, especially to Kuyedza Club, a project fronted by his wife, Isabel. Meanwhile, Mliswa said yesterday his committee is also looking forward to interrogating former Central Intelligence Organisation director-general Happyton Bonyongwe and his successor, Isaac Moyo.